You have big dreams but feel worn down by the weight of the status quo. You want more for your church and yourself than you have found so far. You may not be burned out, but you are tired. You want to move forward but find yourself caught in frustrating conflict. Small problems pop up and take energy you wish could be directed toward your ministry goals. You enjoy ministry but would like to get your head above water enough to see the bigger picture. You are excited about your ministry but find a problematic staff member or lay leader takes a lot of your time and energy. You question whether you should stay in your current church or look for another. We’ve all been in situations where our church ministry has left us feeling isolated and at a loss. Margaret’s unique clergy roundtable group coaching program gathers experienced ministers to help you manage your biggest ministry challenges, learn more about church leadership, and get support and encouragement from motivated church leaders. While a true life-calling, church leadership can, in practice, be isolating and all-consuming. Many leaders want more for your church and themselves. Threatened with burnout, you may be yearning to get your head above water and craft an even more effective ministry. They are open to new ways of thinking and acting. They are able to take responsibility for themselves. They are interested in new ideas. They place a high value on their own growth. 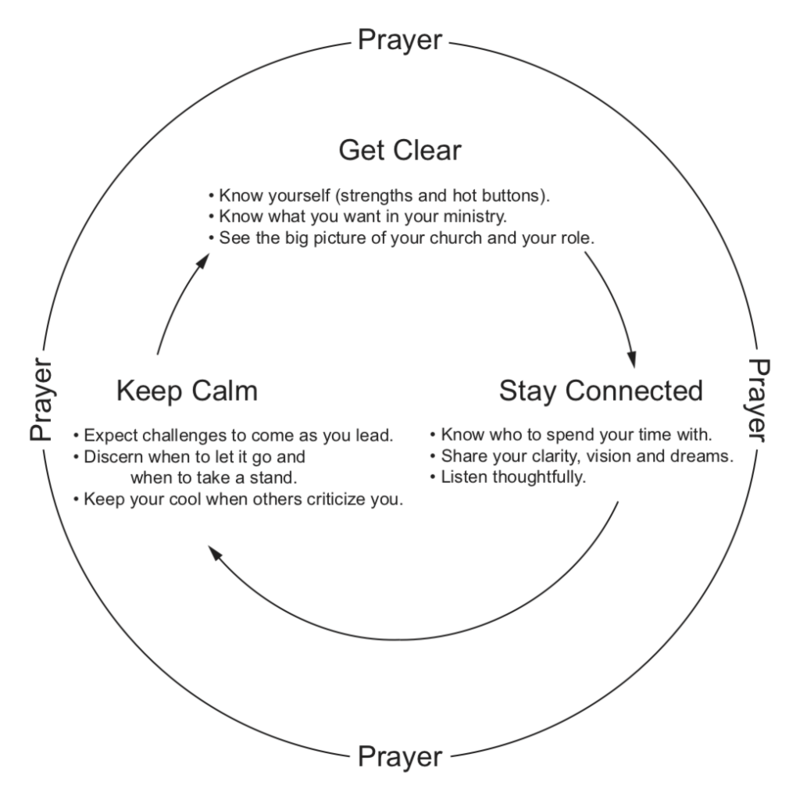 By helping you get clear, stay connected, and keep calm, I help you get more of what you want, at church and beyond, so you can have a sustainable life in ministry. This process is not a quick fix. Nor is it once for all time, but one you can repeat, as you continue to focus on your own clarity, connection and calm, rather than trying to fix or change others (or your church). Margaret Marcuson never gives you the answer, but her insightful questions open self-understanding of your own emotional process. Her work around the role of money as an anxiety binder in systems has proven invaluable in both my ministry and my family life. Having just celebrated twenty years in ordained ministry, I’m thankful for her coaching that helped me become a leader who lasts.